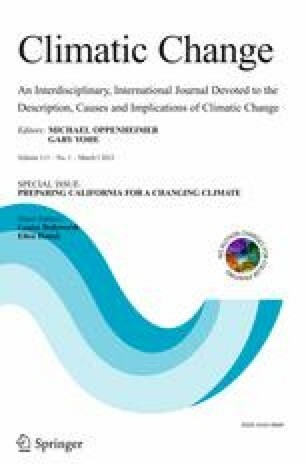 Climate change in California is altering habitat conditions for many species and exacerbating stress from other factors such as alien invasive species, pollution, and habitat fragmentation. However, the current legal and planning framework for species protection does not explicitly take climate change into account. The regulatory framework is primarily reactive, kicking in only after species’ health is gravely threatened. Neither federal nor state regulations require forward-looking, climate-sensitive species or ecosystem protection plans. Habitat planning is poorly funded and often piecemeal. In this context, the wrong lands may be protected, with development allowed to occur in areas that would be most beneficial for species conservation in the future. A more forward-looking approach to habitat conservation is needed, one based on a statewide strategy to identify and protect critical habitat areas, including corridors to enable species migration. The approach would also require development of assessment indicators and assistance strategies not dependent on current habitat structure, and a governance structure to implement regular, periodic updates of management plans in relation to agreed-upon performance indicators. Such a strategy should integrate habitat conservation planning with other state and regional plans and objectives, such as for transportation infrastructure, urban development, and mitigation of climate change. The authors thank the following individuals for discussing issues related to climate adaptation and conservation planning with us either in person or by telephone: Michael Beck, Vicki Campbell, Jim Dempsey, Holly Doremus, Rob Klinger, Robert Leiter, Amy Luers, Connie Millar, Reed Noss, Gail Presley, Steve Ritchie, Brad Samuelson, Rebecca Shaw, Dan Silver, Wayne Spencer, Gregory A. Thomas, and David Zippin. We also thank Ellen Hanak, Louise Bedsworth, Rebecca Shaw, Michael Teitz, and anonymous reviewers for helpful comments, Lynette Ubois for editorial guidance, and Sarah Swanbeck for her assistance with figures. This research was supported by the Public Policy Institute of California, The Nature Conservancy, Next Ten Foundation, and Pacific Gas and Electric Company.